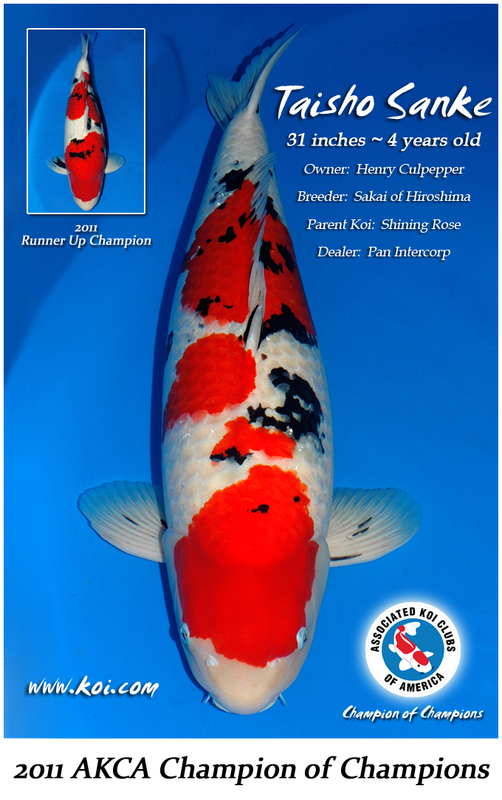 The results of the 2011 Champion of Champions voting by the Associated Koi Clubs of America has been announced. Congratulations to Henry Culpepper on winning this years Champion of Champions with his beautiful Shining Rose Sanke! Receiving 28 of 31 votes she was declared the hands down top Koi in the country for 2011. Henry’s Sanke had won Grand Champion at Atlanta and Orlando earlier this year. This entry was posted in Awards, Koi Event on October 18, 2011 by koiadmin.